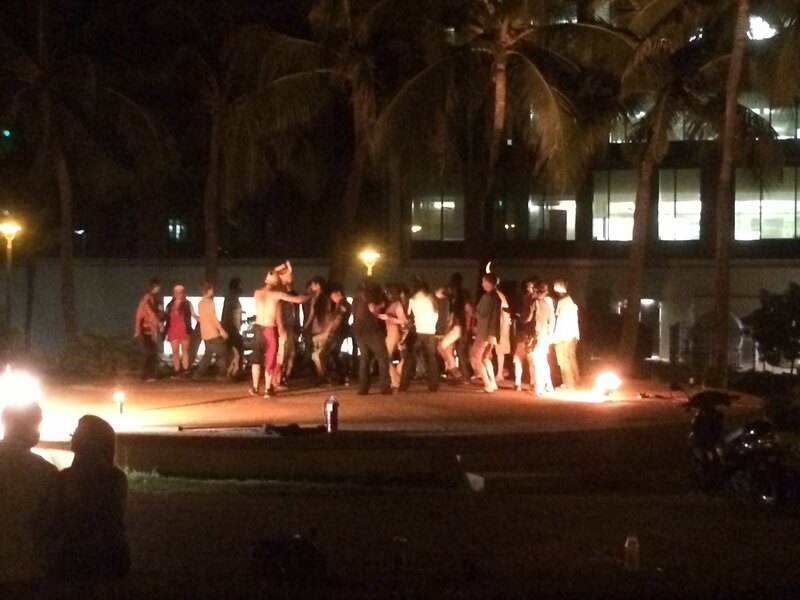 I’m in Honolulu, where I just went to a Burner event called Fire Jam at Kakaako Beach Park Amphitheater. Some great fire spinning and smooth beats, being sampled live. I met one of the Regional Contacts for Hawaii, Illumi Nate. The Hawaii Burner Crew are called Ka Palina. 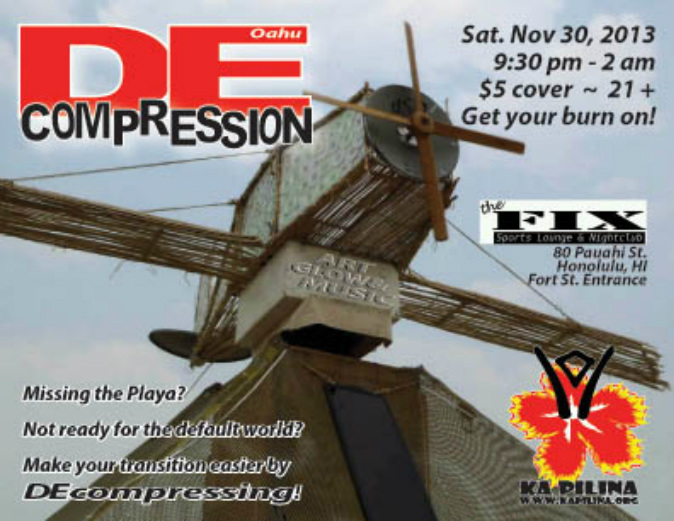 They are throwing the Hawaii Decompression on November 30 at The Fix nightclub, 80 Pauahi St Honolulu HI. The tropical island paradise is about as far to the opposite of the harshness of the Playa as you can get – certainly while staying within the United States. Thanks for your hospitality, Hawaiian Burners! Burn on.